If you're looking to purchase a new swimsuit for your swimming sessions then the new vibrant streaky print on the Flow swimsuit from Turbo is a great choice. 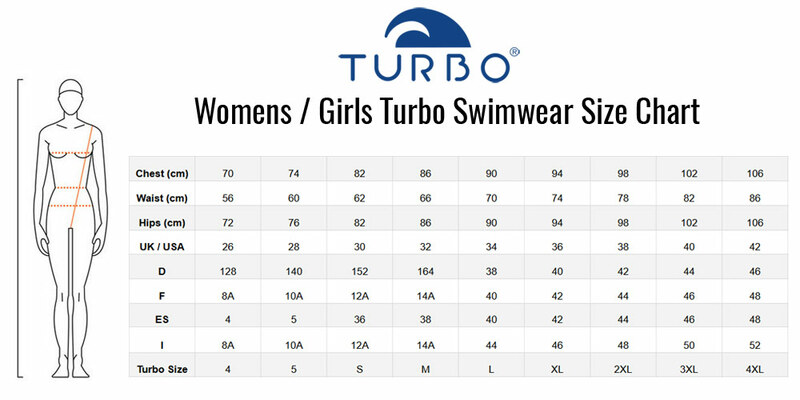 Bring some life to your swimming with this unique print swimsuit from Turbo, which will give you a flattering and comfortable fit. The Women's Flow swimsuit comes fully lined with flat locked seams, which gives you maximum comfort. This women's Turbo swimming costume is ideal for fitness swimmers looking for a colourful swimsuit, and for swim training, in the pool and open water. The Flow swimsuits wider shoulder straps provide extra support and comfort especially for long training sessions.